Cat Tales and Paper Trails: Have a great day! You know those mornings when the sun rise is so amazing and inspiring that you just can't wait to hop out of bed and start your day? But on occasion... a bright sky-is-on-fire sunrise is a pretty spectacular way to start your day. So I made one just for you to send you off on a good start. 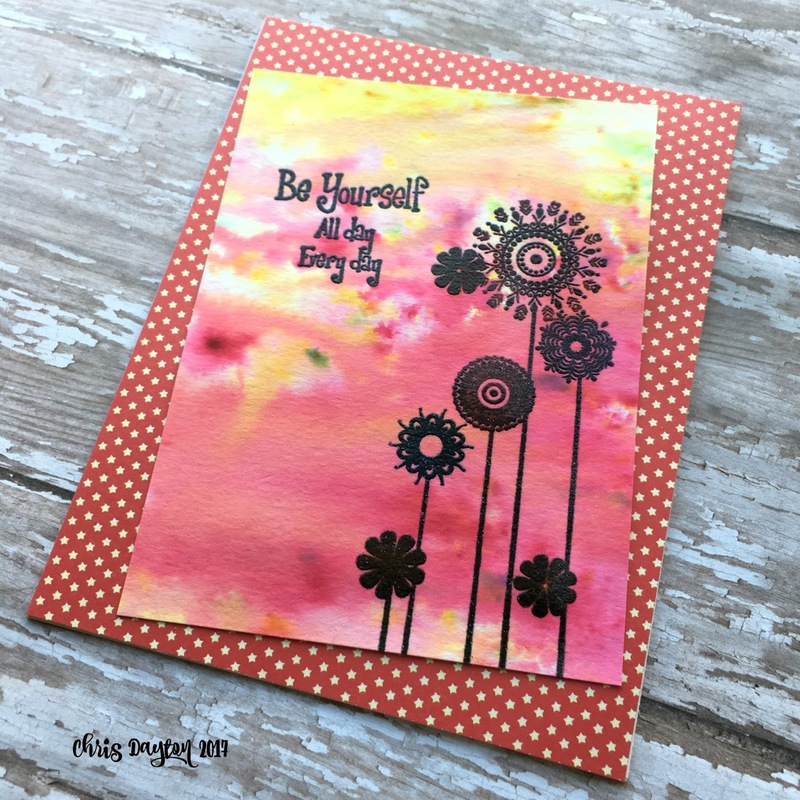 This background is made with pigment powders spritzed with water. 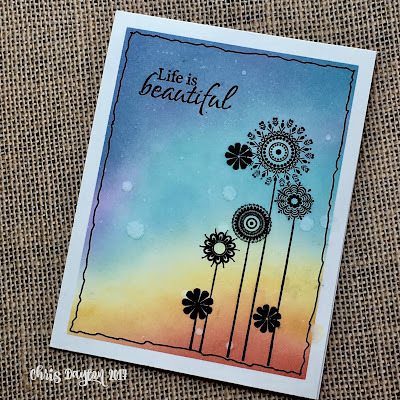 The Lollipop Flowers and Things I Want To Do sentiment were stamped first in black with my MISTI, then stamped again with Versamark ink then clear embossed. And since you had such a great day, a spectacular sunset is in store for you as well. 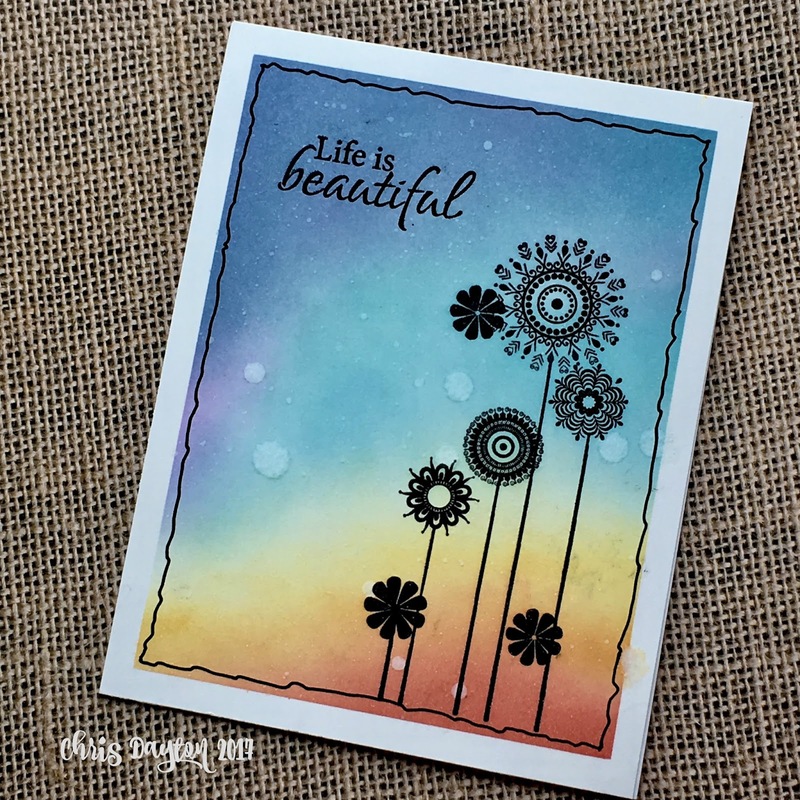 This sunset background is created with Distress Oxide inks and drips of water. The Beautiful Ride sentiment and the Lollipop Flowers are again stamped in black and clear heat embossed. The scribbly border is added with a Copic Multiliner pen. Products are available now at Technique Junkies! Use the discount code TJ10Chris to save 10%. Your card is beautiful. Thank you for describing how to create it. Can't wait to try it out! Thanks for the discount!